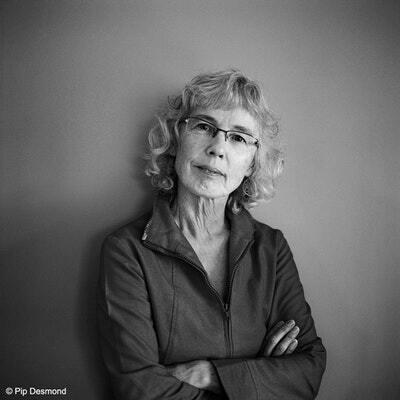 Pip Desmond is a freelance writer, editor and journalist who has spent most of her working life in the community sector, both paid and unpaid. In 2000, she became Labour Minister Ruth Dyson’s press secretary before doing an MA in Creative Writing at the acclaimed International Institute of Modern Letters at Wellington’s Victoria University in 2006, where she wrote the first draft of Trust: A True Story of Women and Gangs. The book recounts her experiences in her early 20s as a member of Aroha Trust, a work cooperative for gang women in Wellington, where she learnt to paint and renovate houses, cut scrub, and lay cats-eyes on the city streets. 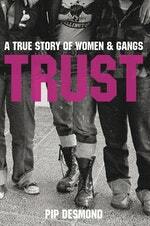 Trust was the winner of the NZSA EH McCormick Best First Book: Non Fiction at the 2010 NZ Post Book Awards. As part of the Ministry of Culture and Heritage’s war oral history programme, Pip has interviewed Korean War veterans, and compiled selections of these interviews with photographs in The War That Never Ended: New Zealand Veterans Remember Korea (2013). Pip has also worked as a bus driver, barmaid, caterer and cleaner. She is married with three children and three beautiful grand-children. Extraordinary insight into New Zealand women’s lives with gangs. Be the first to find out about Pip Desmond.